Life problems - Kitty's Book Spot! 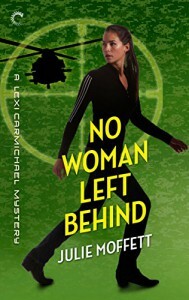 This book is # 6 in the Lexi Carmichael Mystery series. This book can be read as a standalone novel. Since this book contains spoilers about the series and characters, I recommend reading the series in the order intended. Lexi has so much to take on in this book. Her best friend, Basia, is missing. She has to find her. Clues are not helping - where to turn? She also has to deal with her mother meeting the latest man in her life. Serious fun and laughter ensues since this meeting of the parents is so much fun! Lexi is very analytical and smart. She tends to need help with the other parts in life. This book has great humor. It is a lot of fun to read. It is also a great mystery. The fans of this series will be thrilled to read this installment. I give this book a 4/5 Kitty's Paws UP! ***This ARC copy was given by Netgalley and its publishers in exchange for an honest review only.